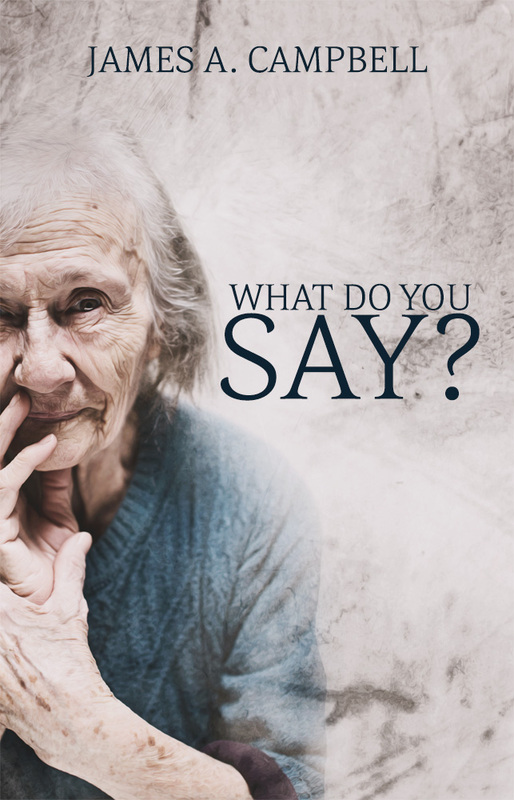 MECHANICSBURG, Pa. — Sunbury Press has released James A. Campbell’s second edition of his classic book,What Do You Say, about ministering in eldercare settings. This is the 25th anniversary edition of What Do You Say? Its first publishing necessitated further printing. Once out of print, requests kept coming for a new edition. Twenty-five years after its release, it was still being used as a model of discovering the blessing of our elders. Its truths more than ever speak to the larger hunger and urgency of engaged listening in an isolating, disconnected world. Reverend James A. Campbell, D. Min. served for forty years as a pastor, with an emphasis on ministry with elders. The Iowa Health Care Association bestowed on Rev. Campbell “Iowa Clergy of the Year” for his model of creative listening in geriatric settings. The ministry with elders took new form and emphasis as Rev. Campbell was in mission work in Alaska and the Russian Far East. From this came a program of nurturing spiritual community and blessing of the aged that he developed with Alaska Native elders and called, “Giving Voice.” Rev. 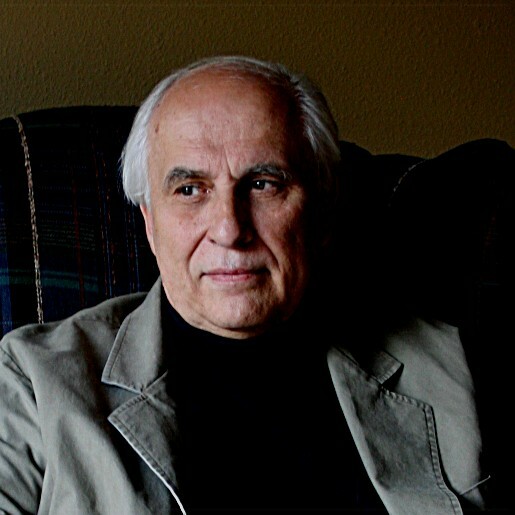 Campbell is the author of seven books on ministry. He lives in retirement with wife, Maggie, in Beulah, Colorado, where he continues his interest in discerning different ways of knowing. He seeks to find how each way of knowing unfolds into wonder, and wonder into the sacred. “This book is a must read for families, friends, and health professionals or any who plan interactions with older adults. Empathetic knowing of the depth and beauty of others enriches not only our lives but those we serve.” — David B. Carr, M.D., Professor of Geriatric Medicine and Neurology, Washington University School of Medicine. “Reverand Campbell has given us a treasure. A guide to the art of listening and a dose of pure inspiration!” — Elizabeth L. Cobbs M.D., Professor of Geriatric and Palliative Care Medicine, George Washington University School of Medicine. How will you care for your elderly parents? Matthews and Blank provide the answers. Two-thirds of these caregivers are women—many of them in the “sandwich generation,” simultaneously caring for both children and older family members. Your experiences may be similar to or different from those of the caregivers featured here, but their stories are likely to resonate with anyone who has cared for a loved one—or might. Introduction: Why Write this Book? Chapter Nine: Positives and Negatives of Caregiving: Would You Do It Again? Barbara G. Matthews has had a patchwork quilt of professional career experiences. For nearly five years, she served as an Assessor/Care Manager for the Area Agency on Aging of Dauphin County, Pennsylvania. Her main responsibility was to visit seniors in their homes to administer a comprehensive assessment, which determined their needs and eligibility for services. 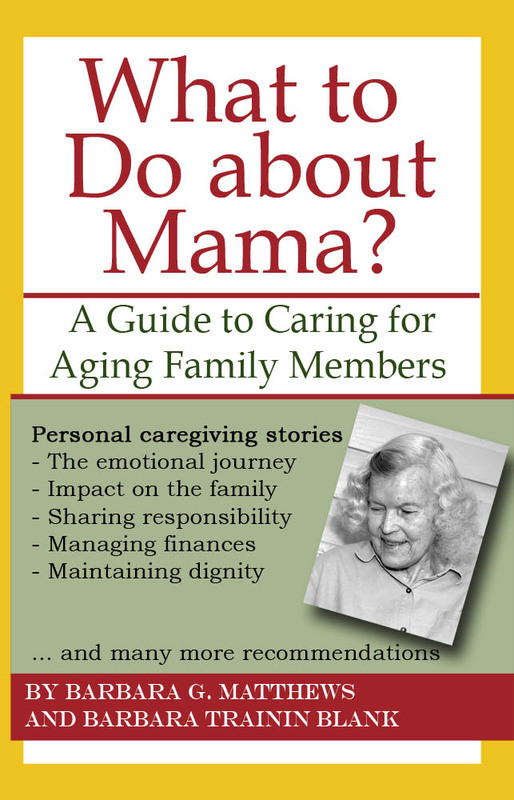 Matthews then “retired” to become a full-time caregiver when her mother-in-law moved into her home, an experience that motivated her to write this book. Prior to that, Matthews was literacy coordinator for a Jobs Training Partnership Act agency. Over seven years, she was instrumental in building a thriving learning center program, which included Adult Literacy, English as a Second Language, Adult Basic Education, General Educational Development, and Adult High School Diploma programs. She was also a Life Skills Instructor with the Dauphin County Prison for four years. Matthews graduated from Kent State University in 1969 with a degree in Elementary Education. She also attended one year of graduate school at Kent State and was a graduate assistant in the sociology department. Her graduate education was cut short, both by the Kent State shootings of May 4, 1970, and her marriage in June of that year. After college, Matthews taught 4th grade for a year, then began raising a family as a full-time homemaker. She returned to full-time employment when her children were in their pre-teen and teen years. The mother of three and grandmother of nine lives in Harrisburg, Pennsylvania, with her husband of forty-three years. Barbara Trainin Blank is an independent writer and editor who heads her own company, Blank Page Writing, now based in Maryland. A writer for newspapers, magazines, and web sites, in areas as diverse as the arts, health and medicine, religion, and societal trends, she has contributed to Health, Emergency Medicine, Hadassah, Business2Business, and B magazines, as well as to Jewish Telegraphic Agency, Patriot-News, and Carlisle Sentinel, among others. Trainin Blank also provides editorial services to agencies, businesses, and individuals and has edited several books, including for the U.S. Army War College, an interior designer, nonprofit consultant, and major NYC social service organization. A graduate of Barnard College in New York City, her hometown, she also writes plays, several of which have been presented in several local and regional theaters. Trainin Blank is married and has two children. Soon to be availble on Kindle, Nook and Sony eReader.